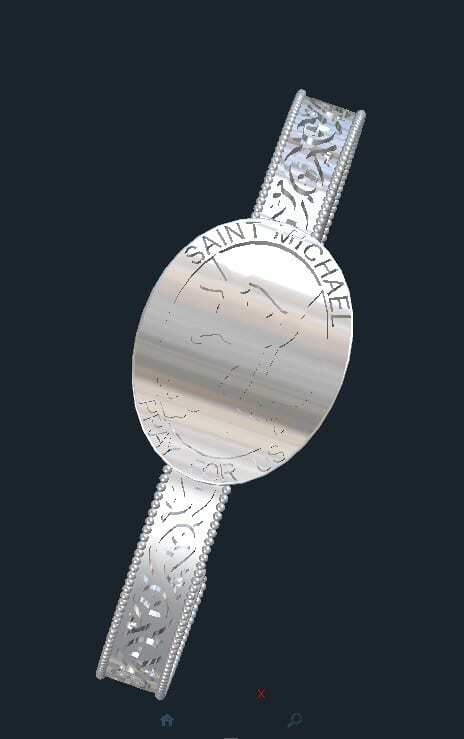 This Hand Engraved Cuff Bracelet is a perfect example of when CAD, custom finishing, and hand engraving can combine to create something very special. This cuff was cast, hand engraved, and then given a black lacquer to make the floral design in the band pop. To crown it off, the piece is adorned with milgrain on the edges of the cuff. 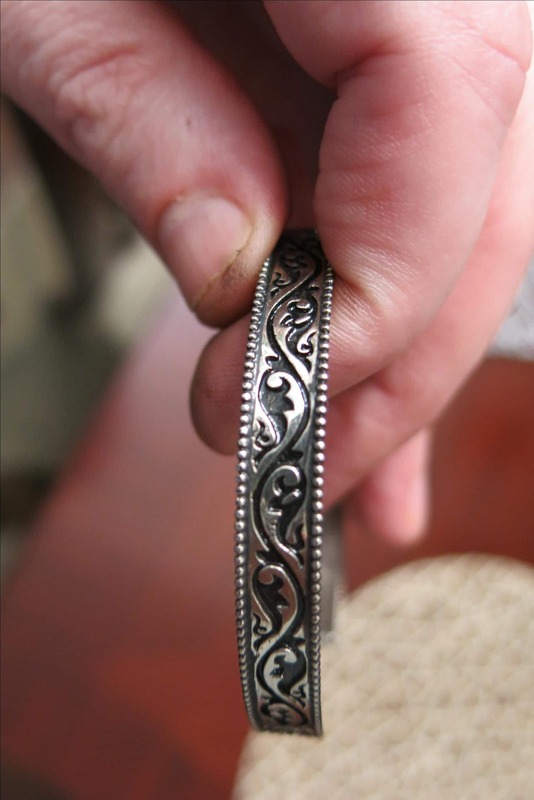 Do you have an idea for a Hand Engraved Cuff Bracelet or piece of fashion statement jewelry? Contact us…we just need a little bit of information from you and we will take it from there. The listed price is for Sterling Silver Hand Engraved Cuff Bracelet with CZ. 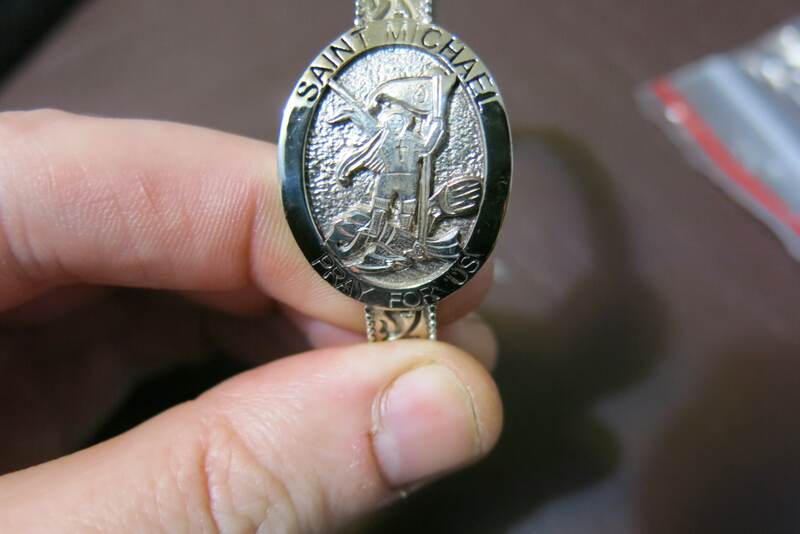 Click HERE for another bracelet design or contact us with you idea for a Hand Engraved Cuff Bracelet.